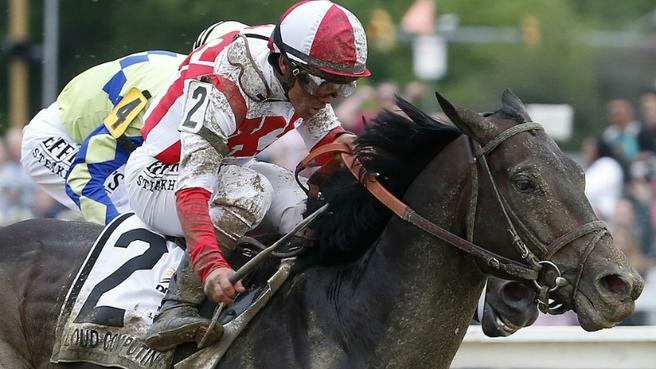 Cloud Computing ridden by Jorge Castellano won the Preakness by a head. the quarter pole. While Classic Empire looked like he had the race locked up, Cloud Computing rallied in the home stretch and caught Classic Empire, winning by a head. The colt had a picture-perfect ride by jockey Jorge Castellano, who stalked the leaders and waited for the pace to take their toll. Coming off of a six week rest, Cloud Computing charged around Amazing Dream (who faded to eighth). Although Cloud Computing had qualified for the Kentucky Derby, trainer Chad Brown and owners Seth Klarman and William Lawrence decided to skip the chaos of the 20-horse Derby. Cloud Computing is lightly raced and prior to the Preakness won two out his four starts, never finishing off the boards.